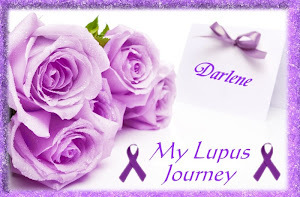 My Lupus Journey, My Life: Lupus, It's Real! Today after church I agreed to go to a funeral of my husbands bosses sister. Rick had told me all about her and she had been in a coma for a long time and it was his bosses younger sister.I didn't remember all he said but i knew it meant a lot to him to go and he wanted me to go so I went. So as usual my hips were hurting but I pushed through got my shower and got ready for Sunday School and Church. 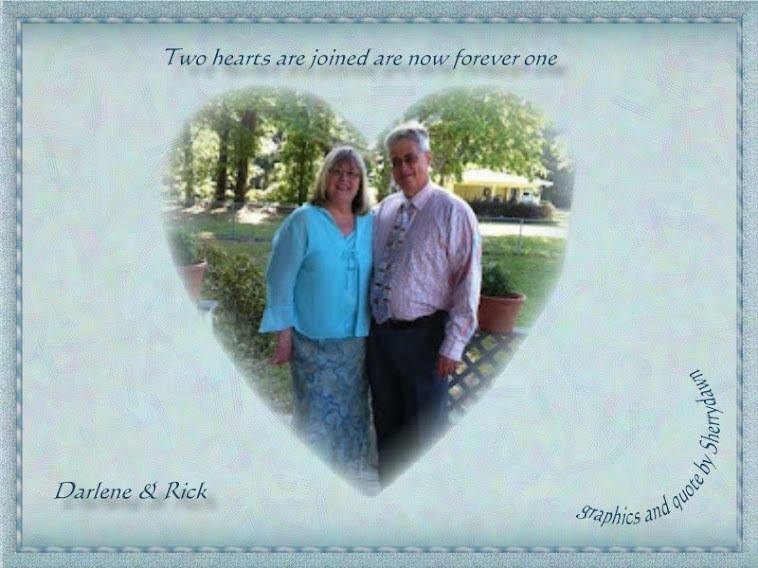 Had a great service and then we went out for Chinese food after church. Climbing up in the truck I am aching but I am trying to remember there are so many others so much worse than I am but still I hurt. A lot....As soon as we ate we were on our way to the funeral home. As always after eating usually the first meal of the day (I did not eat breakfast) my stomach starts churning, cramping, hurting.... Well it did and I needed to stop at a restroom.... It was bad and I was getting stressed and upset and I remember saying "I am so sick of living like this!" Well we were out in the country and there was no place to go to the restroom so by the time we got to the funeral home Rick dropped me off at the door so I could run in and pray I made it... Yes it is that bad and sometimes I don't......this time I did. Thank you Jesus! Suddenly we were ushered into the chapel and the service began and it felt surreal. As her broken family walked by us her husband and 3 children all grown but all broken from this horrible horrible disease that I shared with this woman that I did not know. How destined was I to be at this funeral and for what reason. I know God sent me here... 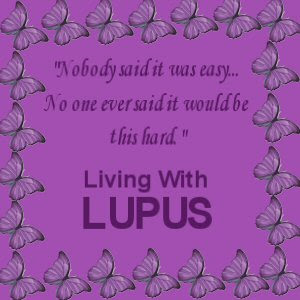 I was seeing my family...my husband...my funeral.....me...it was so unnerving...but Lupus is real..Its horrid and its cruel and its painful and its REAL! This just made it so much more real!!! 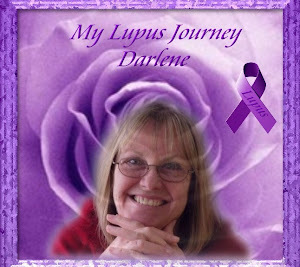 May is Lupus Awareness Month and in honor of Donna Wall Frost I will post everyday on my Facebook and My Lupus Journey page about making people more aware of Lupus. 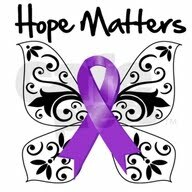 What it is and that we need a CURE! FACT: Lupus strikes more people than AIDS, Sickle Cell Anemia, Cerebral Palsy, Multiple Sclerosis, and Cystic Fibrosis combined. LET'S FIND A CURE! 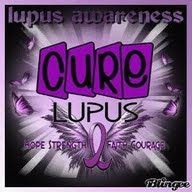 SUPPORT LUPUS AWARENESS! IT IS REAL!